Promote healthy circulatory system, maintain healthy nervous system. Helpful for headaches, migraines. The herbal combination present in Zheng Tian Wan is based on teachings practiced in the ancient art of herbal therapy. These herbs have been specially selected and blended to enhance their individual properties. This preparation moves the Qi upwards and according to Chinese herbalists, may exhibit analgesic properties. As with any supplement this product is most effective when combined with a sensible diet and moderate exercise. 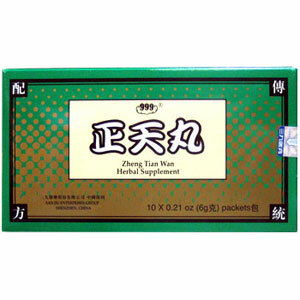 Zheng Tian Wan can be used in conjunction with a multivitamin or other nutritional supplement. Be the first to review “Zheng Tian Wan – Rhizoma Ligustici Wallichii” Click here to cancel reply.